You want to be an attentive dog owner, but don’t have the time in your daily life to spend quality time with your dog. Well, you’ll have no more worries on your end thanks to dog carrier slings. With this bag, carrying your dog around with you will pose no problem. Lucky for you, we have found the eight best dog carrier slings you'll lay your eyes on. 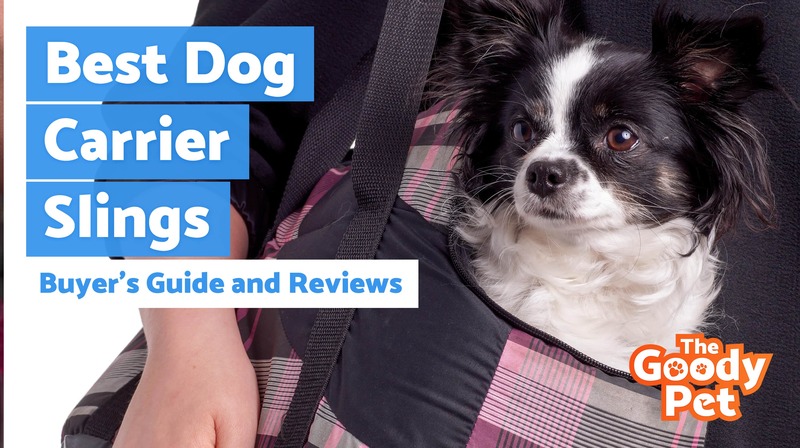 Keep reading for in-depth reviews on each one as well as a guide regarding dog carrier slings. Your dog can be your companion wherever you go with the Alfie Pet Sling Carrier. Alfie combined fashion with practicality to result in a superior product for dog owners. Dogs immediately get comfortable when they feel the cotton material surround them. The sling bag design permits an even distribution of dog weight, so your arms won’t get tired. The closeness this design offers the ability to keep your dog within arm’s reach. Regardless of how tall you are, the dog sling carrier is fully adjustable, so it’s guaranteed to fit. This Alfie dog carrier sling prevents the possibility of your dog experiencing separation anxiety. Dogs tend to prefer to travel with their owners than being left behind. The universal design of this carrier sling makes it suitable for small dog breeds. As long as your pet is below 12 pounds, you can put this Alfie product to use. What sets this dog sling carrier apart from its competition is that it caters to a huge variety of dog breeds. For instance, Alfie dog sling carrier can hold a Chihuahua to an Italian Greyhound. You'll find that this pet sling carrier is cat-friendly as well. If you’re trying to save money or can’t afford to invest in a high-end dog sling carrier, you should turn to the iPrimio Dog Sling Carrier. This is a low-budget yet quality dog carrier that will transform the way you interact with your dog. A small dog will find the spacious 20” wide by 14” deep sling to be comfortable for the price you’re paying. The low price tag of the iPrimio means that it won’t be made out of high-end cotton. Instead, it’s made from a breathable material that’s lower quality than our top pick. The material both inside and out consists of a t-shirt cotton fabric that’s comfortable for most dogs and cats. Perhaps you're not convinced that this is the dog carrier sling for you. The good news is that iPrimio is a registered brand on Amazon, so your purchase from them is entirely risk-free. Those of you who aren't satisfied with the product should know that iPrimio will offer you a replacement for no cost or a total refund. iPrimio Dog Slinger size and material used differs from other products in the market. Dog owners find that the budget conscious decision that still values quality is the optimal dog sling carrier. iPrimio is the type of brand to fulfill those requirements. The Furry Fido Pet Sling Carrier outperforms most of its competition because it accommodates dogs that weigh more than 12 pounds. This sling carrier can hold a dog that weighs up to 15 pounds. Being able to cater to large dogs is great for dog owners who can’t seem to locate a carrier that’s comfy for big dogs. Similar to the budget conscious choice, the FurryFido will keep your canine friend secure all due to the collar hook design of the carrier. You can turn the soft cotton material inside out, which translates to having two bags in one. FurryFido prioritized the intricacy of the patterns to differentiate themselves from the rest. We love how a diverse set of animals could take advantage of what Furry Fido Pet Sling Carrier has to offer. This particular sling carrier accommodates pets with disabilities, old pets, and allows pet families to stay together while traveling. Taking the mom and puppy on your next adventure won’t prove to be a hassle. Bro’Bear understands that some pet owners would substitute a blend of cheap material that feels similar to soft cotton to pay less money for a carrier sling. This brand found the perfect combination of cotton and polyester. The blend allows the iPet Dog Carrier Sling to have a low price tag while highlighting its durability. It comes built with a long sling that you can wrap around yourself multiple times to ensure your dog’s safety. Your canine will rest on your opposite hip. It will have so much space that it could easily lay down and go to sleep. We love how it doesn’t make a dent in your wallet yet it follows through on its promise of providing a durable and long-lasting carrier sling. The iPet Dog Carrier Sling functions best as your backup accessory. The fabric will prove to be flimsy the more you wear it. Timetuu Pet Sling Carrier is ideal for pet owners who expect to carry their dog around with them in all sorts of weather. During the summer, you have to carry your dog around because its paws are too sensitive to be exposed to hot cement. Even in the rain, dogs hate getting their paws wet. Rather than leave your dog at home, the Timetuu Pet Sling Carrier makes it possible to take your dog with you because of its waterproof design. It comes with a water-resistant drawstring to make transporting the bag easy. There's a separate pouch where you can store all your items such as your keys and smartphone. In regards to safety, you can clasp your dog's collar to the Timetuu Pet Sling Carrier. Remember that this dog carrier is best suited for smaller dog breeds. This is because it comes with special features such as four snap buttons that prevent your dog from falling out of the bag. Puppy Eyes drew inspiration from its competition to make a pet carrier sling that’s built with a tote bag attached rather than a small purse. This means the Puppy Eye Pet Carrier Sling can fit dogs weighing six to sixteen pounds. A dog that doesn’t like being confined in small spaces won’t like a carrier sling, regardless of how much room is provided. You can attach the inner leash to the shoulder strap to limit the movement of small dogs. This will force your dog to stay put. Puppy Eyes Pet Carrier Sling function in every weather situation thanks to its unique cotton exterior and waterproof nylon interior. Since this sling is reversible, your dog could rest on the cotton or the nylon side. Your pet's security and comfort is what Puppy Eyes holds in the utmost regard. Tacobear’s dog carrier looks identical to the other products reviewed here. Dog owners who want a carrier sling in the most basic form with no additional design features, look no further. Tacobear ensures your small dog’s safety without overcrowding the bag with extra pockets. The soft cotton fabric creates a comfortable environment for your dog. Dogs small and medium in size will fall straight to sleep in the Tacobear Dog Sling Carrier. If you aren’t sure whether or not you want to give dog carrier slings a try, you should invest in Tacobear Dog Sling. Treat it as the test run version- you might end up wanting to upgrade it. The option reviewed above would then be ideal as a step up this basic model. Dog owners taking their comfort as well as their dog’s comfort into consideration will find the SlowTon Pet Carrier. SlowTon is the only sling to contain a thick sponge. The sponge material relieves stress on your shoulder. Taking your dogs on your weekly hike is an easy endeavor. The sling is also fully adjustable but is still smaller than other dog carriers. So, this makes it ideal for dogs with short legs. Typically, dogs weighing three to twelve pounds are comfortable sitting in a SlowTon Pet Carrier. Changing aspects of the pet carrier to cater to your dog's needs is a priority to SlowTon. Its pet carrier is the only one with a changing size of the opening. Your dog is safe in this bag because you control the area regardless of its fidgeting. As time passes, it becomes challenging for your dog to keep up with your active lifestyle. You may notice that it can't walk as much as it used to compared to when it was a puppy. You can lessen the stress that you're imposing on your dog by carrying it around in a dog carrier sling. A dog is a delicate creature, so treat it as you would a child. Imagine all the errands you can complete in a day when you have your dog attached to you. It’ll be safe in your arms while you can divide your attention to finishing your tasks. Dog owners who don't use a pet sling run the risk of dropping their pets. Those who think slings are dangerous are solely mistaken. Dog carrier slings feature a fully adjustable design. This means your bag can accommodate your dog as it gets old. Some even come with safety hook which you can use to attach your dog’s leash to. As you can see, traveling with your dog is safest with a dog carrier sling. Living in a high-stress urban environment won't work to a slower dog's advantage. Dogs who get anxious in crowds shouldn't be walking around in a city. You need to cater to your dog's needs, which includes making it feel protected. One way you can do this is by placing it on a dog carrier sling, so it doesn't make contact with large crowds. Don’t forget that some cities have laws forcing you to carry your dog in a sling whenever you take the metro. Cities have high levels of foot traffic, so it ends up being difficult to keep track of your dog’s whereabouts. It’s likely that people will accidentally step on your dog. You can avoid this from happening when you use a dog carrier sling. Safely transporting your dog in a congested area is a reality with a pet sling. The design of a sling features a pocket that’s attached to a shoulder strap. This means your dog can freely move in the confines of the bag with no possibility of jumping out of your arms. Your time is valuable, so you need to grasp at every chance you get when it comes to multitasking. With a pet sling, your dog stays by your side while you finish work for the day. Since this accessory will save you both time and money in the long run, it’s safe to assume a pet sling to be a sound investment. On average, dog sitters charge $25 a half hour. Depending on how frequently you hire one, it can add up as a huge cost by the end of the month. 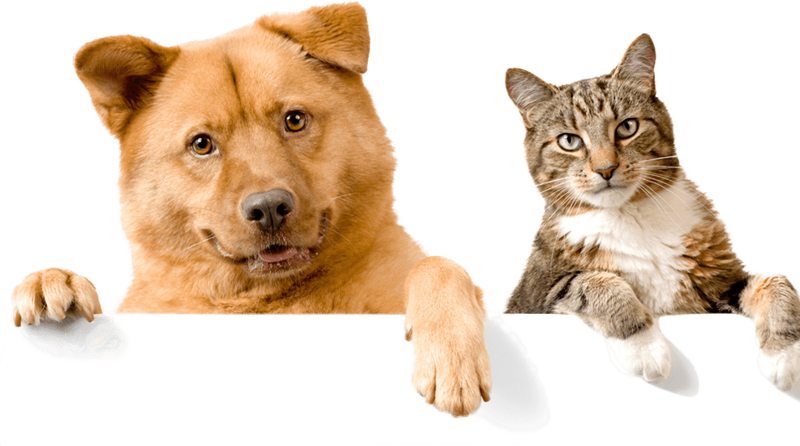 Imagine all the money you could save if you no longer needed a pet sitter. You can say goodbye to having to hire a dog sitter. The option to carry your dog around with you is a better alternative. With a dog carrier sling, you're guaranteed hands-free carriage. You'll become unstoppable with the freedom you have to perform chores with both hands. The entire time your dog will be sitting still in the sling wrapped around you. Dog carrier slings tend to be made out of cotton, making it lightweight and machine washable. This is good news for those with puppies who aren’t trained and accidentally wet themselves in the sling. The solution would be to throw the sling into the washing machine. After allowing the sling to dry, you’re free to wrap it around yourself once more and put it to use. We guarantee you it’ll smell fresh and look brand new. Most dog owners are used to transporting their dogs via a dog stroller. Once dog carrier slings hit the market, the dog stroller seemed archaic and bulky. Slings have a lightweight feel to them that allow you to wrap it around your body as you would a scarf. You can readily hide a dog sling in your tote bag so that you can have it on you at all times. Dog slings don’t take much to clean. Strollers can be trickier to maintain, which is another reason dog owners avoid them. Keep in mind that slings have a lower price tag than dog strollers as well. Dog carrier slings are both practical and extremely stylish. Anyone with a small pet could benefit from acquiring such an accessory. If you want a dog carrier to match your outfits, we guarantee you that there is a brand to cater to your fashionista needs. Since most are made out of cotton, they are lightweight and easy to incorporate into your everyday life. However, the Alfie Pet Sling Carrier contains all the features you want from a dog carrier sling, which explains why it’s our top pick.